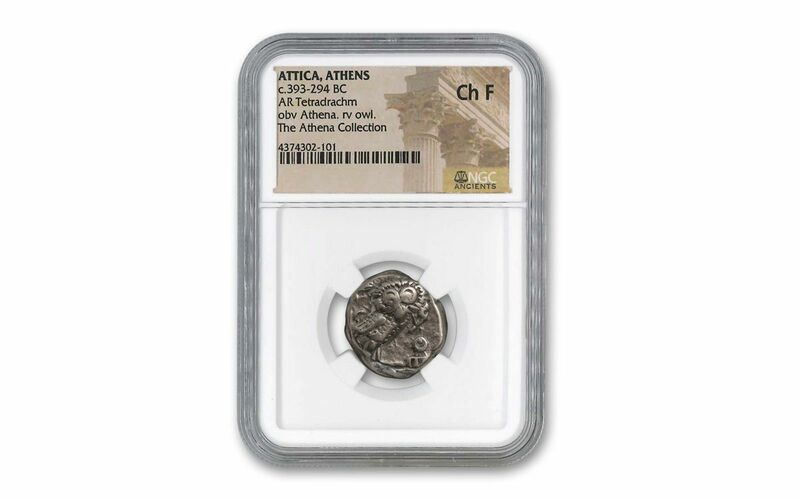 Stunning State of Athens Tetradrachms! 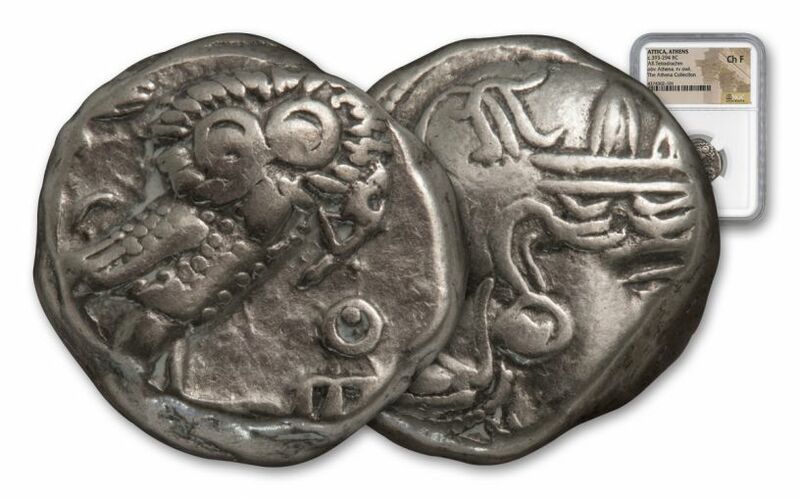 One of the earliest coins to be struck with both obverse and reverse designs, these Greek City-State of Athens Silver Tetradrachms date circa 393-294 B.C. 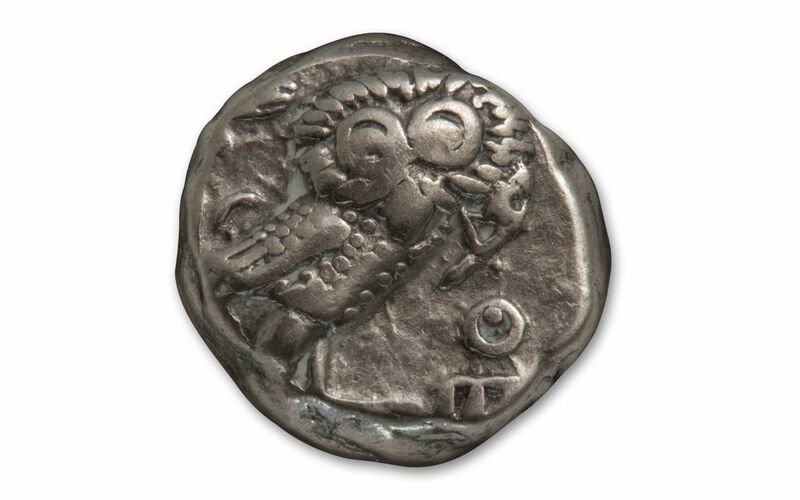 and feature Athena on the obverse and an owl on the reverse. 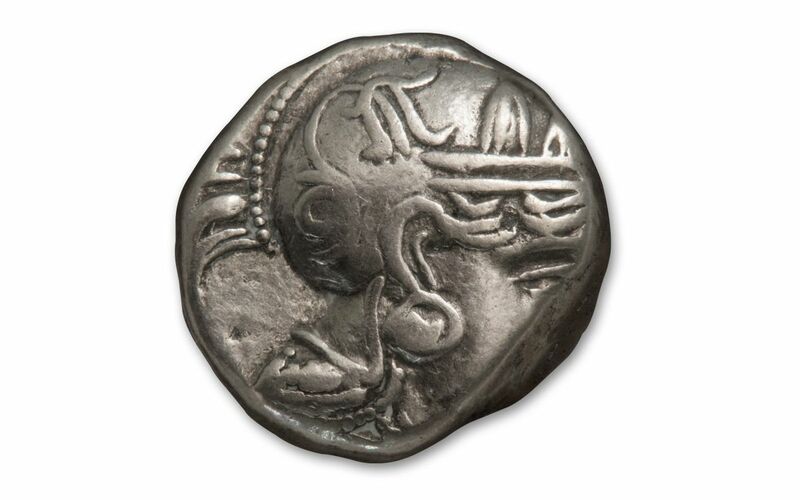 The first coin to be heavily circulated internationally, it is a prized piece for any collection. Graded and certified by Numismatic Guaranty Corporation, these historic coins are available in Choice Fine (CH F) condition. We only have two left in our vault, so order yours now!